I love baseball. I really do. It's just a great game and it SCREAMS summer time! 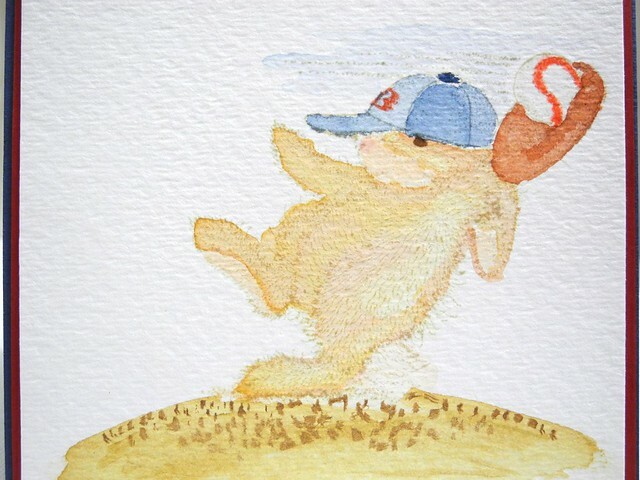 Combine baseball with the adorableness that is the House Mouse line from Stampendous, and, my dear friends, the fabulousness simply cannot be contained. I assure you of this, folks. I assure you. Ummm... I love him. Lots. I stamped the image in a light color on watercolor paper and then watercolored for a no-line look. The stamp didn't have that 'B' on the hat, but it's okay, I fixed it! *wink* *wink* I added a super cute Simple Stories sticker with foam tape as the sentiment. This card came together fairly quickly, and super cute! I am also linking this up to the House Mouse Relax and Enjoy Life Challenge (HMFMC175) because summertime baseball is one of my FAVORITE ways to relax and enjoy life! As a matter of fact...I am working on buying tickets to a game soon! GO RED SOX! Let's go Red Sox! Love the card. What a fun card! 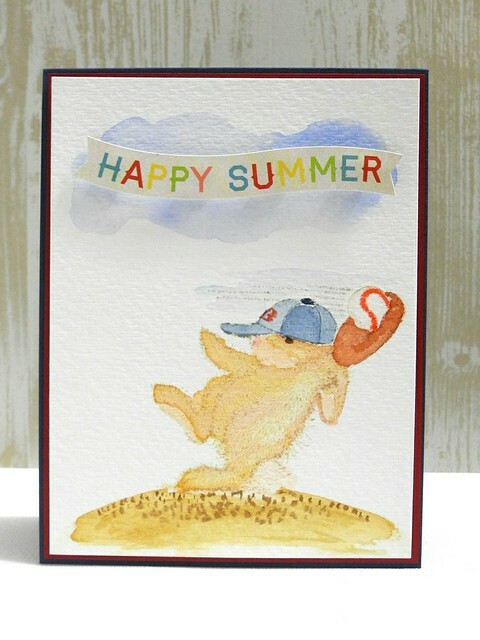 This is the perfect summertime card :) I love your watercoloring, it's gorgeous! 1. cute stamp 2. GREAT painting--this is your best yet! and 3. love the design! Beautiful coloring on this cute happy hopper. Love the CAS style. Thanks for joining us for The House Mouse and Friends Monday Challenge. Love this fab take on the Relaxing chall theme super water colouring & CAS design lovely work. Thanks for sharing with us at House Mouse and Friends Mon chall..hope to see you again soon.